Now, the inspiration for this two part series. A few weeks ago (in my role as the learning support teacher), I started supporting a year 8 maths class and part of the support entails one-to-one support with a few students in the class. I begin the lesson by working with a particular student — let’s call him Colin– who has learning difficulties and needs some pre-teaching as well as extra revision. There is a long and painful story about how this type of support was added to my timetable and the reason that I started a new ‘program’ in the middle of the school term. So, it was only a few weeks ago that I met Colin for the first time and administered a focused diagnostic test. When I start a program of targeted instruction with a student I always start with a diagnostic test of some kind (numeracy or literacy based depending on requests from teachers) and I have a conversation. This is a simple back and forth between myself and the student, covering a variety of topics including: schooling history, favourite teachers and subjects, parents, family details, hobbies, favourite movies and what they did on the weekend. I can “look up” some of these details on the system, but kids don’t know that. I also talk a little about myself and try to find some common ground between us so that I can use it in the future. Considering that I work with students aged 12-17, I don’t beat around the bush at all, I ask them about their learning difficulties. I ask them straight out. By the time a student has reached year 8, they know they have problems and they are the best person to tell me how it impacts their learning. Here is a script of the important parts of the conversation I had with Colin during our first lesson together. I have omitted the chit-chat parts before and after and left in the section that ‘inspired’ this series. The “Teacher” is me and the Student is Colin. Teacher: On your file it says that you have a medical condition. It says you have a comprehension delay. Did you know about that? Student: Yeah, my mum told me. Teacher: What does that mean to you? Teacher: It doesn’t affect you in the classroom. Teacher: So, this comprehension delay. Does that make it hard for you to keep up in class? Student: No. I don’t care. Teacher: Hhmm, What do you think “Comprehension Delay” means? Student: It means I’m not good. I can’t do good at school. Teacher: So when your mum told you that you had a comprehension delay she didn’t explain what that meant? Teacher: Comprehension is a word we use for understanding and thinking. Delay means the extra time it takes to do something. When we say that you have a comprehension delay, it doesn’t mean that you can’t think or understand. It just means that you think and understand a bit differently. Your brain works in a different way to most people and because you think differently it sometimes takes you a bit longer to get to work it out. I used to find some things in school really hard and when I got older I realised it was because I learned better from reading information over and over again. Lots of teachers didn’t explain things the way I understood them and I would get confused. I had a friend in high school could always explain it the way I understood. She was a real help. Teacher: Yeah. You said that most of the time you can keep up but sometimes you get lost and you have to ask a friend or ask your teacher for help. The teachers who you like probably know how to explain it differently so you understand. Some teachers haven’t worked out how to explain it for you yet. 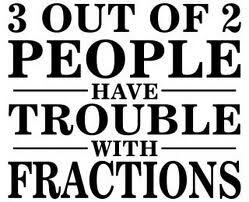 I used to work with a young lady to improve her maths skills. I met her when she was 10 yo and in year 5 of primary school. 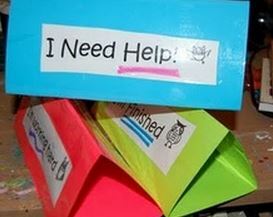 She was struggling with many basic skills and this was making it difficult for her to handle the more difficult problems and concepts in the year 5 curriculum. I worked with her for 5 years and she passed year 10 maths. She studied and passed a board registered maths subject in her senior years in high school. She thought differently too. He brain worked a different way and once I worked out how to explain things to her, she succeeded. Once she figured out how she learned and what she needed to do to understand, she succeeded too. The parent thought she was helping out by explaining to her child that he had a learning difficulty. She thought that she was telling him that it wasn’t his fault he was having trouble in school. She thought she was giving him the answer to his questions. But, she didn’t check that he understood. The student walked away from that conversation with a different message. He walked away thinking he was stupid and couldn’t fix it. He left with more questions and anger and sadness. I’m not criticising the parent because I know she truly believed she was helping. We have to learn from this experience. I have spoken to the parent and gently reminded her that Colin thinks differently and he needs to believe that: while he thinks differently, he is certainly capable of doing well at school. Children with learning difficulties think differently. I think we all knew that. It is the teacher’s responsibility to work out how they think. That is hard. 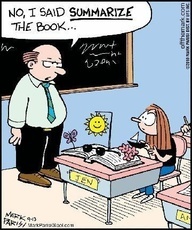 Explain concepts in different ways and check that your students understand. If they don’t understand; find another way to explain it. Find another word to describe it, or draw a picture. Find what works for them. Give them opportunities to practice. Help them to understand how they think and learn. Help them to understand that they are different, but not stupid. Help to see that they can learn and that asking questions (the right questions) will help them to move forward. If students ask us the right questions we can help them. But they will rarely know what to ask. If we ask the right questions, we will know how well our students understand. We have to be careful when speaking to children (and sometimes adults). One statement from an adult can change how a child feels about their ability, self-worth and potential. So, be careful what you say. Allow time for your words to sink in and then check that you were understood. It takes time, but it is simple and it is worth it! Teachers are always seeking feedback from their students. Those teachers who don’t seek feedback don’t seem to last very long in the profession. Teachers who seek feedback often do it without even thinking. We have to check that our students understand what has been taught. 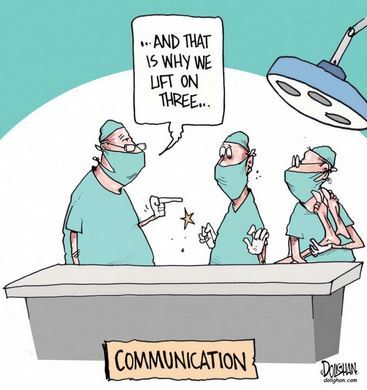 Any good communicator checks with their audience to make sure they understand the message. The ways we seek feedback can be as many and varied as the purposes of our search. Failing to check for understanding can lead to mixed messages, misconceptions of fundamental concepts and frustration. Whether you are in the world of education or not, a misunderstanding can lead to a terrible mess. A colleague of mine was complaining to me a few weeks ago, as she was frustrated with her extension class. Some might be wondering why a teacher might be having difficulty with the top students but it doesn’t seem to matter where we ‘stream’ kids, they will always present a challenge or two for the teacher. This particular teacher had considerable experience with students who displayed — let’s call them– problem behaviours and often struggled with grade level work. Deliberately seeking feedback from her students was unnecessary because if they didn’t understand they would act out. They would get bored, as the information was too hard for them. They would yell out, “I don’t get it,” or “I hate this stuff.” They would start throwing objects or vandalising school equipment. If it was too easy, they would tell her so. There were rarely any grey areas with these kids. This is where I stepped in. “How do you get feedback from the class?” I asked. This was met by my colleague with, “I ask them if they get it, they say yes, but when we get into the work some of them seem lost.” Seeking feedback from the class and checking for understanding is the way to go here. It takes lots of practice too. Asking students if the “get it” before they have had a chance to “have a go” isn’t always effective. Learners often need to try the process before they can tell which steps or parts are causing the confusion. 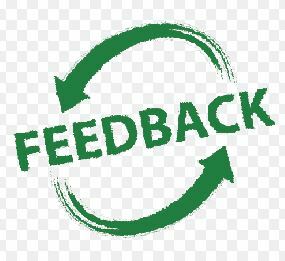 I suggested a few ways that this teacher could actively (and quickly) seek feedback from the students, at regular intervals during the lesson. She went away with a plan. COACHES CORNER TIP: Ready? Set? Go! Ready? it is important to know what your ‘colleagues’ are ready for when you coach them. Sometimes they just need to vent and that is an important part of the process towards solving a problem. Sometimes they will want some suggestions. Set? It is always important for you to ask questions in order to guide them towards reflecting on their own practice and find a solution that works for them (I have a set of questions that I choose from when discussing issues). I don’t tell my colleagues what to do, I ask questions, offer suggestions and guide them towards a next step. Go! Often your colleague should walk away with a plan (a strategy to try, or a resource to use, or both). Your real question: What did I suggest? One feedback seeking technique that I LOVE is the traffic light indicator. 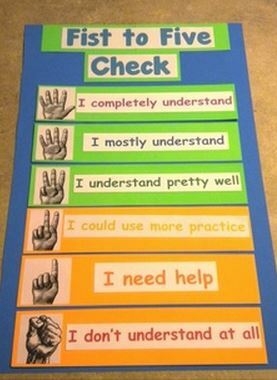 Many teachers have taken this idea and modified it to work for their classroom context. 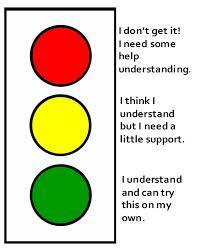 But the idea is fairly simple: students use a traffic light colour to indicate how well they understand the concept being taught or the activity they are working on. Green: I get it and I’m working okay. Yellow: I think I understand, but I need to check something with you. Red: I don’t get it, I’m stuck, I can’t go on without your help. 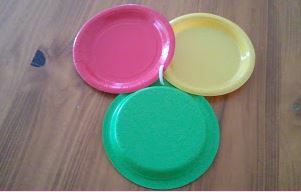 I use coloured plastic plates that are fastened together using plastic curtain rings (pictured right, click here to read a different blog post describing use in the classroom). I know other teachers who use plastic cups. You can see some more examples of this ‘feedback seeker’ below. My colleague decided to use coloured card and simply hand out one of each colour for students to use during the lesson. The beauty of this one is that they have control of the cups/ cards/ plates and they can change them at any time during the lesson according to how they think they understand the concept. It is also visual and easy for the teacher to monitor from any point in the room, but not really obvious to the rest of the class. Other teachers use quiz questions, voting or hand signals (thumbs up if you get it, thumbs down if you don’t, hand flat if you are somewhere in between). You can use individual whiteboards, ask a question of the class and get all the students to hold up their whiteboard with their answer. 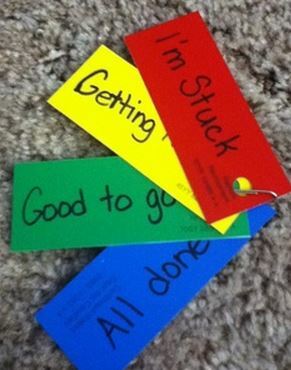 You might ask students to think-pair-share or complete an exit slip at the end of the lesson. Essentially feedback is formative assessment; feedback tells us what the student can do and what they have learned. It is essential to inform the teacher if the lesson objectives have been reached. It helps the teacher plan the next move. If my colleague had wanted other suggestions for formative assessment tools I would have emailed her the following links. Whether you are a teacher or a coach, I hope you have found something useful to help you. I wouldn’t be a very good coach, teacher or blogger if I didn’t seek your feedback! Please click the like button, share this post or leave a comment below. I would especially like to read about your methods for seeking feedback from your students. Punctuation is vital for ensuring that written text makes sense. All text has a message. If the audience of the text includes many and varied experienced readers, then it is important for us to agree on the meaning of the symbols we use. Now — more than ever– the context of the written word dictates how punctuation is used and, in some cases, what it means. The dynamic nature of language has become more apparent as the rapidly changing communication technologies are used more widely. As teachers of literacy (and we are all teachers of literacy), it is vital that we understand: both simple and advanced punctuation symbols, how they are used in different contexts, exceptions to the rules and variations of punctuation in context. The emoticon, for example, has made the colon (:) a more commonly used punctuation symbol. However, we all know that a colon used in an emoticon certainly symbolises something very different when a colon is used in a formal written text. Organisations of the academic world, such as universities and government education departments, often publish their own Style Guides. These clearly define formal writing conventions that are to be standard for all publications. That is, they define the standard of punctuation, spelling, grammar, bibliographies, appendices and foot notes that are used in any publication approved by the organisation. Some institutions even dictate the font and size of word processed documents intended for inter-office use. Other organisations rely on rules and standards defined by such universities as Harvard or Oxford. Much to the surprise of many teachers at my school, I discovered yesterday that our Department of Education and Training has a Style Guide which thoroughly sets out fonts, font sizes, acceptable spelling as well as punctuation and grammar rules. While I quickly skimmed this document and checked that information contained in my quick reference guide was consistent; I wouldn’t recommend it as a reference. It certainly isn’t user-friendly. I created the following quick reference guide. 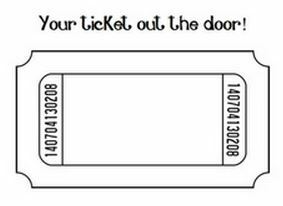 It is two A4 pages and I printed them for our teachers, back-to-back so that teachers have one piece of paper that can fit in their diary and be checked quickly and easily. All the ins and outs are not included but the basics are there and general rules are included. If you click on the link below you will be able to download the file and print it. I have loaded the colour version here, but I also created a black and white version to save on photocopying, so if you would prefer it, contact me via the comments and I would be happy to oblige. Obviously, my word is not the absolute truth; therefore, you will find a list of websites that you might find useful below. These websites will give you examples and non-examples. If you are particularly interested, I found online dictionary sites useful for basic definitions of each punctuation symbol; word derivation is also provided which often helps to explain the purpose of specific symbols (click here to see how this is true for the comma). GRAMMAR GIRL is a favourite of mine. She often uses images and mnemonics to help readers remember the rule she is explaining. You can follow Grammar Girl or you can simply type the specific punctuation symbol (or grammar question) into the search box at the top right corner of the page. GRAMMAR MONSTER is an excellent site if you want to go beyond having a ‘reference’ in your folder. This website has links for all the punctuation symbols, several grammar terms and commonly confused words. The links include simple definitions, explanations of appropriate use and common mistakes. There are also short quizzes so you can test yourself with a view to improve your own grammar knowledge and skills. AUSTRALIAN!! The ANU Academic Writing Guide was published for Australian National University Students to support them with the transition to university and writing for more formal contexts. The explanations are a little heavy — remember that the target audience are university students — but if you want a thorough explanation this is a good place to go. AUSTRALIAN!! FLINDERS UNIVERSITY also published a punctuation guide for students and this one is a little more user-friendly than the ANU guide. I still wouldn’t give it to my middle school students but teachers would find it useful as a more detailed reference. GRAMMAR BOOK is a searchable ‘go to’ website for detailed information about punctuation and grammar rules. Remember that these rules are standard for US language conventions, so it is important to cross-check information with a website or style guide that is aligned with the English Language Conventions that are standard for your context (English is spoken in many countries but some countries follow UK conventions while others have US conventions). Australian Standard English is usually the same as UK English, but it is important to cross-reference information if there is doubt. I hope the quick reference guide I produced is helpful to you. Many of the staff at my school have found it useful and were quite excited about having a point of truth for their own writing and for explaining punctuation rules to students. Remember, if you are a confident writer and incorporate grammar and punctuation correctly into your writing, you need to keep up with the changes in language conventions. Acceptable use can change according to context as well. So, consider the purpose and mode (formal or informal) of your writing before getting in a tizz about your punctuation or someone else’s. FOCUS on Punctuation: Why is this a problem?! Punctuation is an aspect of language conventions that can be quite complicated for teachers. In Australia, there are at least two generations of teachers (myself included) who were not explicitly taught punctuation for writing. We are the direct result of an education theory known as the Whole Language model. This model has been in common use since the early 1980’s and is based on the theory that students who are exposed to accurate language conventions — including: spelling, punctuation, grammar and text structure — and immersed in accepted convention will learn these conventions easily. The whole language model reduced and even eliminated explicit teaching of language conventions. So, it was not until we reached university that we learned the difference between a recount and a report, an apostrophe of possession and an apostrophe of contraction, correct spelling and appropriate grammar rules. Well, we had the basics, but we didn’t know the why and how of language conventions and we didn’t know or understand exceptions to the rule. The direct result is the two generations of teachers that struggle everyday with accurate language conventions. While they are expected to explicitly teach punctuation and grammar rules, they have little to no confidence in their own skills. Some have an abundance of confidence but are actually quite wrong in their usage of commas, semi colons, brackets and other advanced punctuation (not to mention incorrect spelling and grammar). Therefore, the indirect result is another generation (maybe two) of “blind” students being led by “blind” teachers. The explicit teaching of punctuation in the early and middle years of school is inconsistent at best and at worst: non-existent. Teachers can’t even model language conventions accurately as they don’t have the skills to do so in their own writing. These days the Balanced Literacy approach is favoured as it incorporates strategies from several pedagogy theories and involves a balance of both indirect and direct teaching and learning activities. 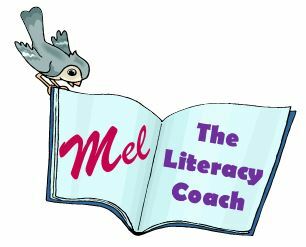 The theory behind balanced literacy is to take the good things from each theory in moderation and find the best strategy that works for the learner in the classroom. It is easy for department/ district leaders and principals to direct classroom teachers to explicitly teach punctuation (and other language conventions). Unfortunately, if the teachers are not provided with professional development about the correct use of punctuation, students will continue to be given misinformation. Another obstacle to ‘fixing’ the problem is the fluidity of the English language. This is especially true when we consider that British/ Australian and US language conventions differ in many ways and more often than not, the US convention is more widely accepted. Some words have several acceptable spellings while maintaining the same meaning, for example: focussed and focused are both considered appropriate. Chat-rooms and the infamous “text message” language (that has no real rules at all), have caused many of the technological natives to question the need for punctuation at all (unless it is used to indicate a facial expression or mood). The words we use, the rules for spelling, punctuation and grammar depend — now, more than ever — on the context of the writing. When I was told that “Punctuation and Grammar” was the focus for the second semester this year, I cringed. I know that there are some teachers who have in excess of 20 years of teaching experience and they know the rules of spelling, punctuation and grammar. They know them because they were taught the conventions by rote and they were corrected relentlessly by their teachers and they were expected to use the correct conventions all the time. I also know that many more of the teachers at my school do not know all language conventions with certainty and confidence. They are not prepared to teach Punctuation and I must admit: neither am I. My first step for supporting this ‘focus’ was to split it into two smaller areas. This term we will work only on punctuation. I have introduced kinesthetic learning activities for teaching and revising punctuation. This week, I handed out a quick reference guide for teachers to use so they can know the basic (and some advanced) punctuation symbols and uses. Next, we will begin working on specific activities for all teachers to use in their classrooms (regardless of subject area). TOMORROW: Style Guides and Web Resources for Teaching Punctuation as well as a FREE Download of my Quick Reference Guide. The week is finally over. It was very busy for me, however it wasn’t nearly as stressful as I had anticipated. The purpose of National Literacy and Numeracy Week (NLNW) is to promote the fundamental skills of education in the community. There was a time when everyone valued the privilege of schooling. Everyone knew that if you learned nothing else at school, you had to learn to read, write and work with numbers. These days, it seems as though some people don’t get it. If you do any professional reading, online or otherwise, you probably don’t need convincing. You probably know that reading is a vital skill that is the cornerstone of success in primary, secondary and tertiary education as well as the workplace and indeed everyday adult life. The other piece of the puzzle, which is no less important, is the ability to understand numbers and apply mathematical principles to real world situations. That sounds like a bit of a ‘fussy’ definition but put simply: literacy and numeracy skills are fundamental to functioning in modern society. Despite the great convenience of technology, these tools are less useful if you can’t read. Therefore, the focus of NLNW at my school is: fundamental skills are important and the best way to enhance our current skill level is to enjoy what we have and have fun with words and numbers. Our aim is to have at least one event/ activity for each day of the week. This makes it very busy, but it also provides opportunity for everyone to participate. Here is a list of the activities that we organised and a short explanation of our process. Staff Briefing: I reminded everyone at our Staff Briefing that it was NLNW and asked everyone to stay tuned to staff emails and school announcements for information about activities. I also asked for their support and reminded them to promote activities when talking with the students. School Announcements: Literacy and Numeracy Jokes introduced information about NLNW, Pocket Poems and other activities that would occur during the week. 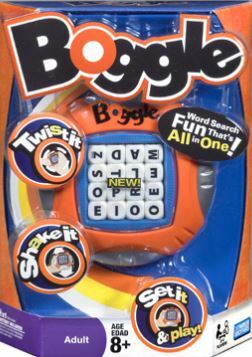 Lunch Time Games: One of the English teachers organised a BOGGLE tournament in the Library for all students and teachers. There was a very small group, so they all got a prize! School Announcements: More jokes were entered in the school announcements and reminded students that it was NLNW and encouraged everyone to jump on Mathletics and participate in challenge activities competing with students across the globe. 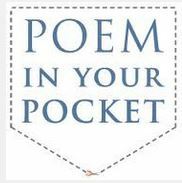 Facebook: I posted the first stanza of a progressive poem and challenged the school’s Facebook fans to continue it by adding a rhyming couplet to the comments. The poem started out with the topic of NLNW and our awesome school. 48 hours and approximately 30 comments later the poem topics included our house teams, fires, violence, Shakespeare, Dr Seuss, the awesomeness of Ms Hughes (that’s me) and our deputy principal. Students, Staff and Parents were among the contributors. Staff Email: a short and sweet email was sent out to all staff reminding them of the purpose for NLNW and the Reading Event for Friday. I also inserted a few jokes and word play cartoons and pictures for everyone’s enjoyment. It was Parent/ Teacher Interview Night, so we all needed a lift! School Announcements: Examples from the Spelling List to be used at the Spelling Bee were published and Homeroom classes had a go at spelling them in class. The Spelling Bee was advertised for Thursday. Facebook: “Make 15” challenge was launched. I challenged the Facebook fans to find as many ways as possible to ‘make 15’. Ideas started with simple number sentences like 10+5 and evolved into trigonometry equations. Some flexible thinkers described the number of players in a rugby team (apparently there are 15) and the average age of our year 10 cohort. School Announcements: The Spelling Bee and Friday Reading Mob was advertised. Library: Top 15 Lists were created and displayed in the Library. Our teacher/librarian compiled lists of the 15 most popular movies, top 15 pop songs, top 15 books of all time and 15 most borrowed authors from the school library. Junior Spelling Bee: Our year 8 and 9 students were invited to nominate and compete in the Spelling Bee. One teacher and one year 12 student also participated and both were knocked out in the early rounds! We used words from the 200 most commonly misspelled words and it was surprising to me which ones seemed to be the most difficult for participants. All participants were awarded house points and winners received itunes vouchers. Runners-up were awarded tuckshop vouchers. School Announcements: more jokes introduced a thank you to all staff and students for participating in NLNW activities and everyone was invited to show up at the courtyard (a large meeting area at our school) at lunchtime. Reading Mob: Staff and Students were invited (few took up the offer) to spend their lunch break reading in the school courtyard. I brought magazines, books and newspapers to the courtyard for those who didn’t have anything to read. A few teachers used their e-readers or phones, while others bought their own books to read. I also made some posters with puns, pictures, jokes and quotes about reading and maths. The posters were stuck along the walkways leading to the courtyard. As you can see, it was a very busy week! I had a great team working with me this year which made it manageable and even a bit fun. There are some activities that we will certainly do again next year and others that we won’t repeat. The most important thing about these events is getting the word out that they are happening. There are more than 1400 students at our school and approximately 100 teachers. There are additional support staff in the school such as education assistants, administration assistants, cleaners and volunteers who are all invited to participate in the week. That is a lot of people reach. It is also imperative that you have funding for prizes and support from administration. That is, a deputy principal or even the principal, heads of department and leading teachers need to be involved in order to get the word out and to lend credence to the events. In a school as big as ours, there are several events happening at the same time and this can cause quite a lot of disruption if the communication between organisers isn’t clear. I hope you enjoyed your NLNW! The next big event is “The Reading Hour” which is actually a weekend event. If you want more information about that, visit http://www.love2read.org.au/.